Your small groups can be the growth engine of your ministry. Your small group ministry, when done correctly, is the most effective way for you to connect students to your ministry, to each other, and to see them grow in their relationship with the Lord. There’s no coincidence that your small group ministry is also be the best way for you to experience consistent long-term numeric growth in your ministry. Unfortunately, many student ministries give little attention to this essential component. I want to help you strengthen this part of your student ministry. What I’m about to share with you I’ve seen work both personally in the churches that I’ve served and in countless others that I have observed or consulted with. It isn’t rocket science, and it isn’t an original thought. 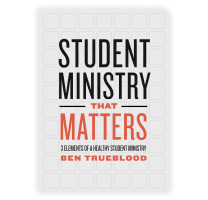 What I share here I have learned from others throughout the years who have all had experience growing and sustaining healthy student ministries. As a side note, if there isn’t someone (or a group of someones) that you are learning from and treating as mentors in student ministry, then you need to find them quickly. I continue to learn a great deal from those people in my own life. Back to the subject at hand. Volunteer Leaders – Without this group of people you won’t experience growth. It really is that simple. Any one person will struggle to effectively minister to a group larger than 8-12 students. So, to experience and sustain growth you will need to add another adult leader every time you reach this point. But you are better than that because you are going to plan for growth. You are going to have leaders ready to launch groups instead of waiting until you have the need to find one. This point right here is where many student ministries struggle. Constantly recruit leaders and have them ready to launch. When you wait until there’s a need to go find someone you lose momentum, the students begin to lose connection, and many times you will end up with a leader that doesn’t match because you’ve had to move quickly. Think about your growth goal for next year that will begin this fall. Work now to have the leaders you will need to grow to that point by the end of the year. Don’t wait. Recruit and enlist them now even if they don’t have a group for several months. Parents – There are two things I would like to say here. First, parents make great volunteer leaders. Don’t buy into the lie that you only need young cool college students if your small group ministry is going to grow. 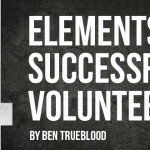 You want consistent, seasoned leaders to fill out the bulk of your volunteer roster. They already have an invested interest because of their kids and are more often than not ready to follow leadership that leads to their kids growing in their relationship with Jesus. 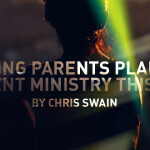 The second thing I’d like to mention on this point is to make sure the parents in the ministry value their kids being involved in a small group. You accomplish this through consistent communication. Communicate your vision for groups ministry often. Help them to see how it is a vital part of the ministry and something that you believe will help their kids grow close to each other and to the Lord. When you feel like you’ve communicated your vision to them clearly, keep doing it. Until they use your vision language in a normal conversation about your ministry they don’t know it well enough. Communicate stories of life change. 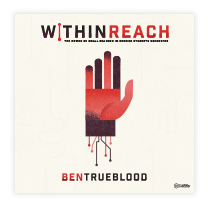 This helps the parents connect what you’ve been saying to real-life situations and shows them that it works. Students – Make sure your students know the purpose of their groups. Make sure they know your vision and what you’re trying to accomplish. Many times students don’t believe that groups are important to their student pastor because of the energy and excitement given to everything else in the ministry. 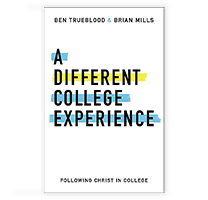 Think for a minute about the hype surrounding the last sermon series or event that you announced then compare that to the hype given for students to be involved in a small group. Was there a difference? Probably. Here’s the reality: your small group ministry will have a longer lasting growth and discipleship impact in your ministry than any event will. Make sure they get the attention and excitement they deserve as you talk about them with your students. Pastor Support – As with anything, without support from your pastor it will never be as effective as it could be. I want to define support here as active support rather than quiet, passive support. Many pastors support passively, which is great, but you need your pastor to support your small group ministry actively. You need your pastor to vocally support your small group ministry from the pulpit and in other conversations as appropriate. You need him to use his influence to help parents see the value in their kids being part of a small group. You need him to love what’s happening in your small group ministry so much that he can’t help but talk about it. How does that happen? You communicate with him. Yes, we are back to communicating vision and stories of life-change. Many pastors will be content with you just running your small groups and letting him know if something goes wrong, and while that may sound appealing at times it doesn’t do anything to help you grow. You need to help him understand what you are trying to accomplish (sound familiar?) and how lives are being changed as you execute your vision. When he sees that growth is beginning to happen and that what you are doing really is impacting families at a deep level, he will begin to get excited about it. Why should you want to grow your small group ministry? Because it means you are reaching, integrating, and discipling more students in your ministry as a whole. Getting big gains in your ministry isn’t about looking back at the end of a year and marveling at your attendance number. It is about making the most of your opportunity as a student pastor to see students follow Jesus and doing everything you can to support that end. Your small group ministry is too important to receive the leftovers of your energy and attention.